I can’t wait to get sowing annual flower seeds again this season and Ammi Majus is certainly on my list of favourites. Ammi Majus is often refered to by florists as a ‘filler’, it adds a sophistication, airiness and a county syle to any arrangement. As many of you know I have relocated the Higgledy Garden down to Cornwall in time for the 2013 spring sowing, this of course means that I won’t have any Autumn sown flowers this year. 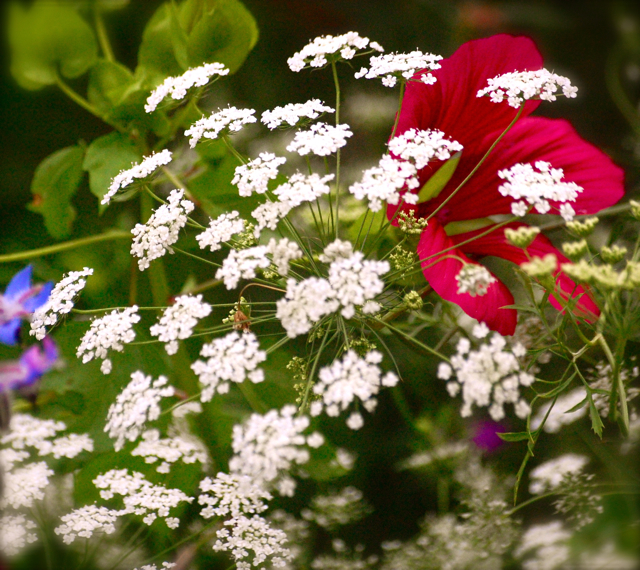 Ammi is a ‘Hardy Annual’ and as such can be sown in September for an earlier flowering plant the following year. How To Grow Ammi Majus. *Sow in September and/or March/April/May. *Personally I direct sow into the soil as I find Ammi can have a sulk if her roots get disturbed by moving her from a pot in the greenhouse to your cut flower patch. 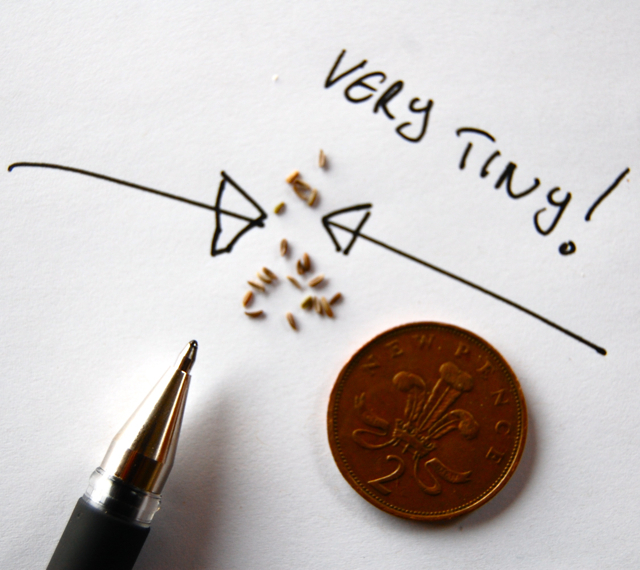 Some other folk will suggest you can sow in February undercover…. UPDATE: This was written five years ago. 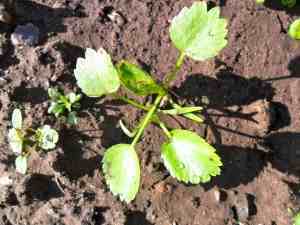 I now sow Ammi into pots and simply take care when planting out and all seems fine. Sowing direct into the soil will still give you good results of course but don’t sow your seeds too deep. *The bed should receive full sun and be well drained. *Once the seedlings are two or three inches high I thin out to about a foot…I don’t bother replanting the ones I take out as they seem to struggle in their new home…it seems like a waste…but…well….get over it. try it with Cosmos ‘Purity’ or Cornflowers ‘Blue Boy’ for a super eco-chic Country style arrangement…or even on it’s own in thin necked bottles…very ‘north London’ ;) Whatever you do with it I’m sure like me you will love it…. I sell Ammi Majus Seeds in the Higgledy Shop at £1.85 for 1000 seeds. Here’s to a great season in 2013! Some Of My Favourite Flowers From 2012. How To Grow Aster ‘Ostrich Plume’ From Seed. I have sown a tray of ammi seedlings that are now all looking perky & about 12cm tall..can I plant them out into the garden now to flower next spring ? Success at last! I have only just discovered your site after deciding to dedicate this year (and if at all successful, every coming year) to growing an abundance of flowers suitable for floristry, and am already struck by how your advice seems perfectly matched to my needs; – surely a necessity for any gardener welcoming a new variety to their plot is identification, otherwise we’d all be weeding out our new seedlings, and there you have them, little snapshots of what I should be looking out for. Having only reached ammi majus in my A-Z search, I fear I may combust with enthusiasm for your site before I reach the zinnias. Brilliant. Yes, I shall heed all your advice and not follow my whims, as I did with my vegetable patch. Squashes the size of onions, carrots the size of radishes, sweetcorn…where did the sweetcorn go? Sticks and twine at the ready, my gardening deviant days are over. yes…last year was tricky with the slugs…will be better this season….mark my words…I’ve got a crack team of frogs sweeping the country…gobbling up any slug they find.